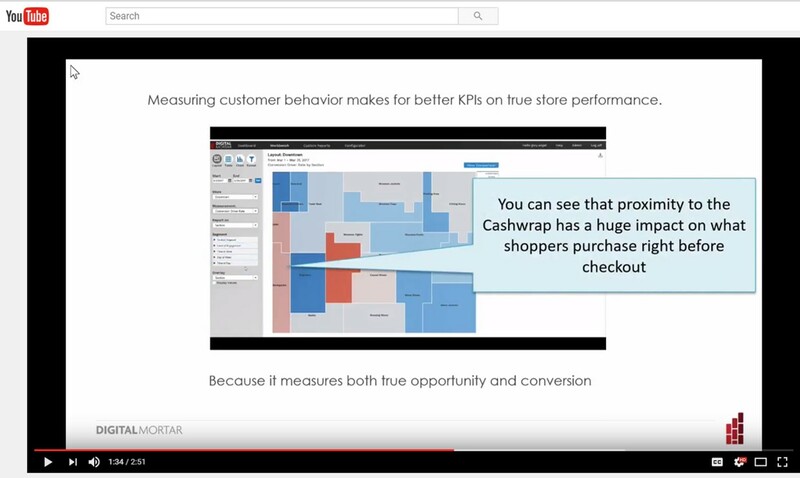 What is in-store customer journey data for? In my last post, I described what in-store customer data is. But the really important question is this – what do you do with it? Not surprisingly, in-store customer movement data serves quite a range of needs that I’ll categorize broadly as store layout optimization, promotion planning and optimization, staff optimization, digital experience integration, omni-channel experience optimization, and customer experience optimization. I’ll talk about each in more detail, but you can think about it this way. Half of the utility of in-store customer journey measurement is focused on you – your store, your promotions and your staff. When you can measure the in-store customer journey better, you can optimize your marketing and operations more effectively. It’s that simple. The other half of the equation is about the customer. Mapping customer segments, finding gaps in the experience, figuring out how omni-channel journeys work. This kind of data may have immediate tactical implications but it’s real function is strategic. When you understand the customer experience better you can design better stores, better marketing campaigns, and better omni-channel strategies. I’m going to cover each area in a short post, starting with the most basic and straightforward (store layout) and moving up into the increasingly strategic uses. While bricks&mortar hasn’t had the kind of measurement and continuous improvement systems that drive digital, it has had a long, arduous and fruitful journey to maturity. Store analysts and manager know a lot. And while in-store customer journey measurement can fill in some pretty important gaps, you can do a lot of good store optimization based on a combination of well-understood best practices, basic door-counting, and PoS information. At a high-level, retailers understand how product placement drives sales, what the value of an end-cap/feature is, and how shelf placement matters. With PoS data, they also understand which products tend to be purchased together. So what’s missing? Quite a bit, actually, and some of it is pretty valuable. With customer journey data you can do true funnel analysis – not just at the store level (PoS/Door Counting) but at a detailed level within the store. You’ll see the opportunity each store area had, what customer segments made up that opportunity, and how well the section of the store is engaging customers and converting on the opportunity. Funnel analysis forever changed the way people optimized websites. It can do the same for the store. When you make a change, you can see how patterns of movement, shopping and segmentation all shift. You can isolate specific segments of customer (first time, regular, committed shopper, browser) and see how their product associations and navigation patterns differ. If this sounds like continuous improvement through testing…well, that’s exactly what it is. How well is each area and section of the store performing? How do different customer segments use the store differently? How effective are displays in engaging customers? How did store layout changes impact opportunity and engagement? Are there underutilized areas of the store? Are store experiences capturing engagement and changing shopping patterns? Are there unusual local patterns of engagement at a particular store? Next up? Optimizing promotions and in-store marketing campaigns.